Scenes from a meeting with both Local Government Area (LGA) and State WASH partners in Dutse community in Dutse LGA in Jigawa State in Nigeria on July 28, 2011. 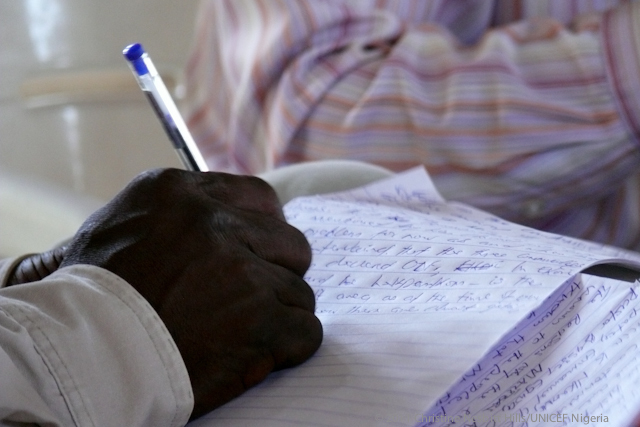 The meeting is to evaluate and select communities for WASH intervention. 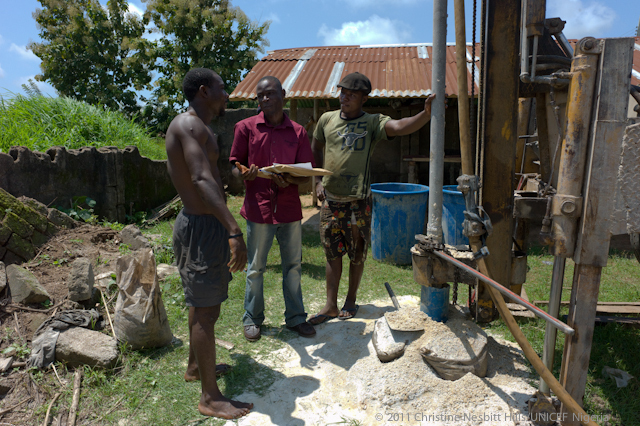 Planning, Monitoring & Evaluation Officer at Yakurr WASH, Essien Okoi Onun (wearing maroon shirt), checks up on the work undertaken by contractors to drill a borehole in Nko Market community in Yakurr Local Government Area (LGA) in Cross-River State in Nigeria on July 18, 2011. 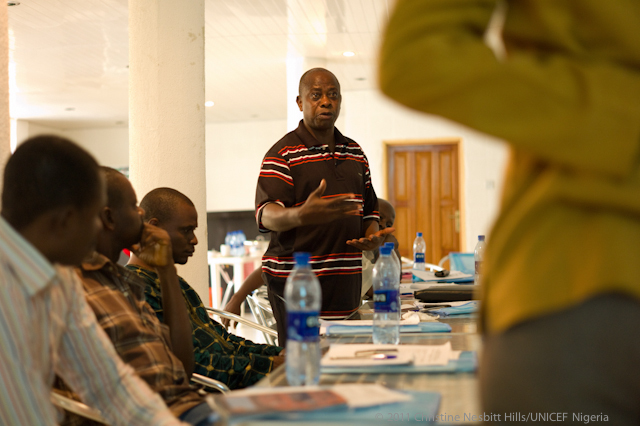 Essien Okoi Onun (wearing maroon shirt), Planning, Monitoring & Evaluation Officer at WASH Dept. 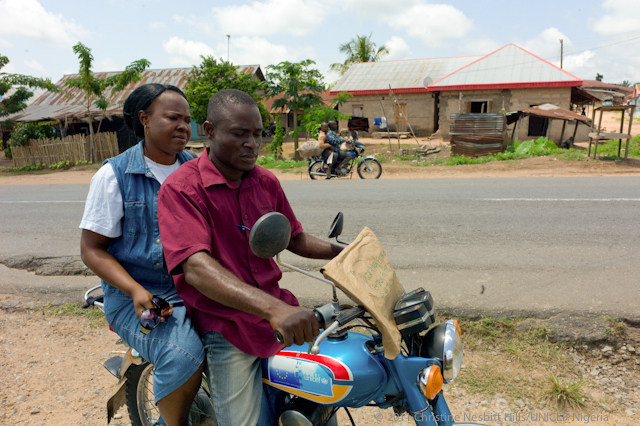 at Yakurr Local Government Area (LGA), drives a motorcycle (funded by EU & UNICEF) with colleague, community mobilisation office r Florence Emmanuel Azele on the back in Yakurr Local Government Area (LGA) in Cross-River State in Nigeria on July 18, 2011. 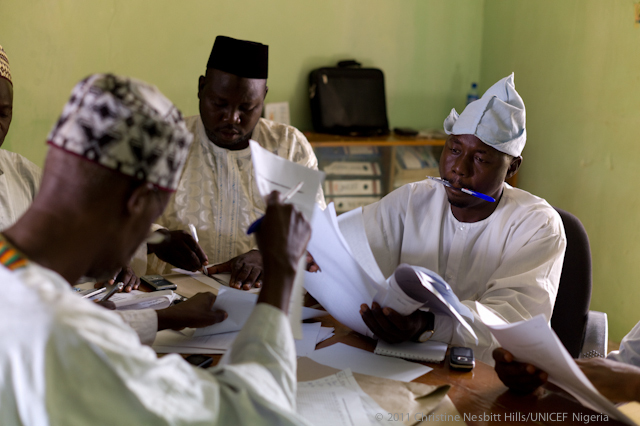 Essien Okoi Onun (wearing maroon shirt), Planning, Monitoring & Evaluation Officer at WASH Dept. at Yakurr Local Government Area (LGA) talks with Oyonga Augustine Bdifon from Cross-River State Rural Water Supply and Sanitation Agency (CRS-RUWATSSA) at the site of a borehole being drilled in Okpowen community in Yakurr LGA in Cross-River State in Nigeria on July 18, 2011. 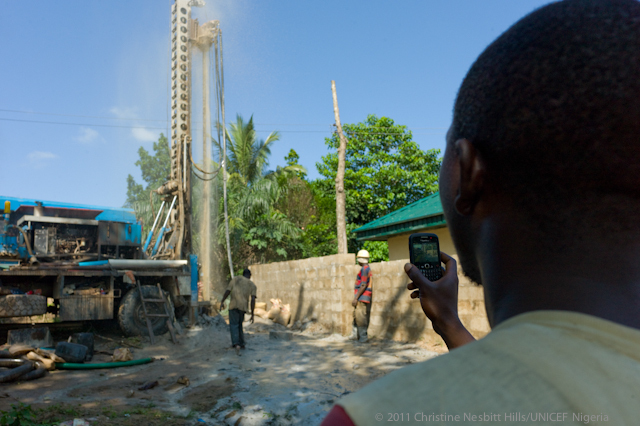 A contractor records a video on his cell phone as contractors flush a borehole in Okpowen community in Yakurr Local Government Area (LGA) in Cross-River State in Nigeria on July 18, 2011. 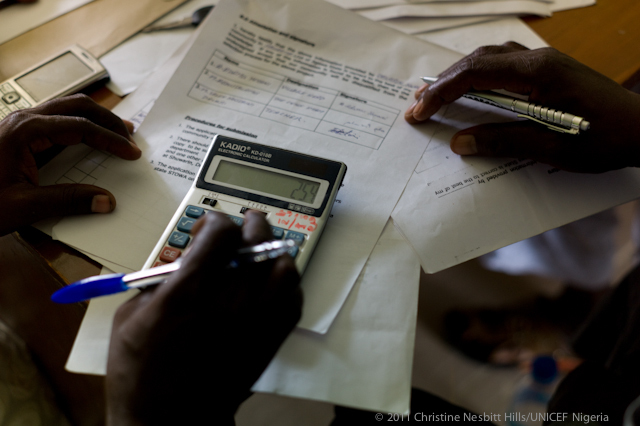 The development of water, sanitation and hygiene practices in this LGA are supported by the EU and UNICEF. 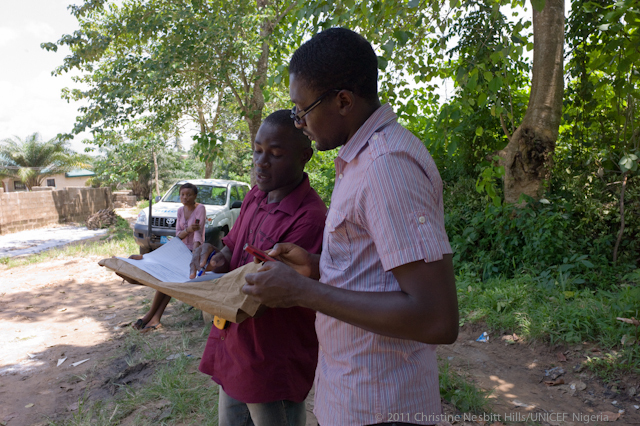 Essien Okoi Onun (wearing maroon shirt), Planning, Monitoring & Evaluation Officer at WASH Dept. at Yakurr Local Government Area (LGA) talks with Oyonga Augustine Bdifon from Cross-River State Rural Water Supply and Sanitation Agency (CRS-RUWATSSA) as they sit with drilling earth samples at their feet at the site of a borehole currently being drilled in Okpowen community in Yakurr LGA in Cross-River State in Nigeria on July 18, 2011. 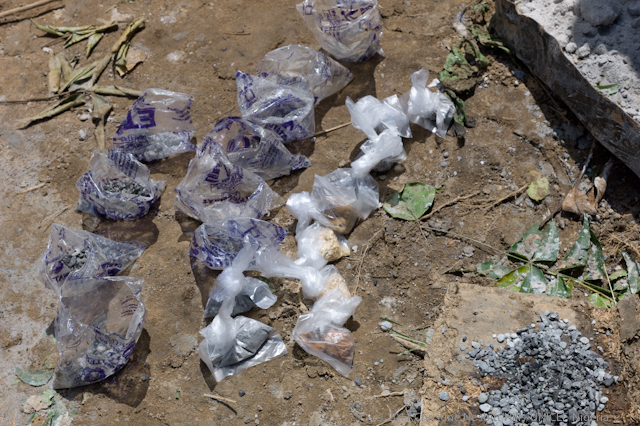 Drilling earth samples are seen at the site of a borehole currently being drilled in Okpowen community in Yakurr LGA in Cross-River State in Nigeria on July 18, 2011. 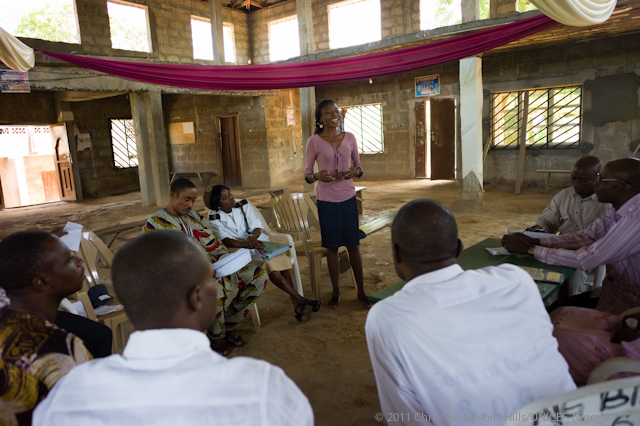 Community-led Total Sanitation facilitators attend a meeting in Okpowen community, led by non-governmental organisation Kingdom Evagelical Movement (KEM) and the Local Government Area (LGA) WASH department in Yakurr LGA in Cross-River State in Nigeria on July 18, 2011. Felicity Joseph Ekpata (wearing pink shirt) is seen amongst Community-Led Total Sanitation (CLTS) facilitators attending a meeting in Okpowen community, led by nongovernmental organisation Kingdom Evagelical Movement (KEM) and the Local Government Area (LGA) WASH department in Yakurr LGA in Cross-River State in Nigeria on July 18, 2011. 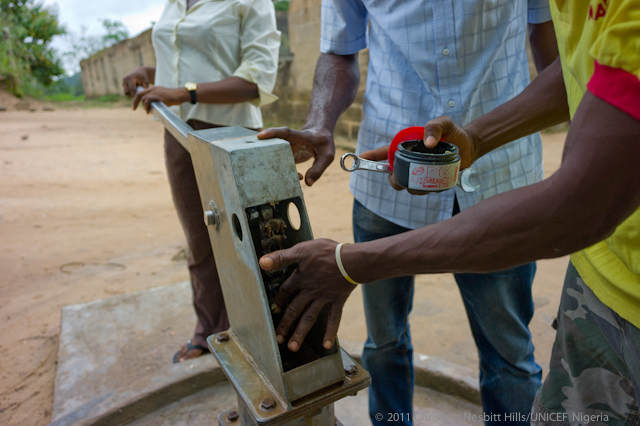 Community artisans service a handpump and remove the debris from the outer casing of the handpump in Ekori Beach community in Yakurr Local Government Area (LGA) in Cross-River State in Nigeria on July 20, 2011. 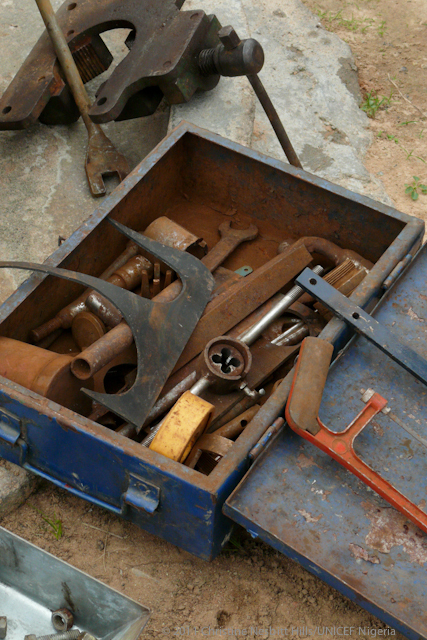 Community artisans are trained as part of Village Led Operation and Maintenance (VLOM). 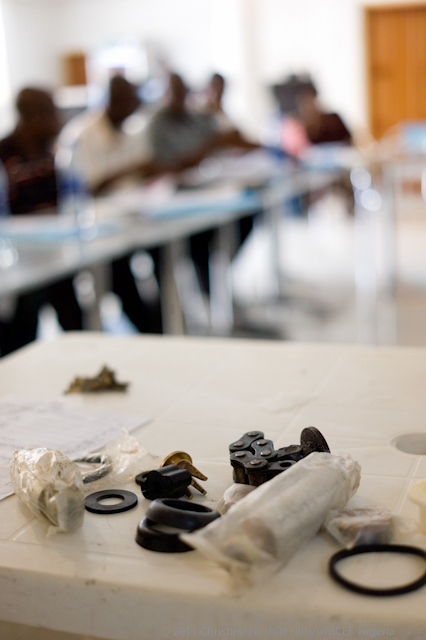 The development of water, sanitation and hygiene practices in this LGA are supported by the EU and UNICEF. 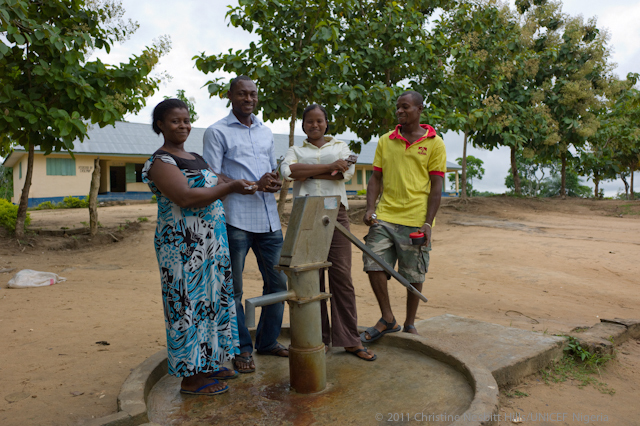 Village-Led Operation and Maintance (VLOM) community artisans stand next to a handpump they maintain in Ekori Beach community, Yakurr Local Government Area (LGA) in Cross-River State, Nigeria on July 20, 2011. Standing from left to right are: Rosemary Benson Akili, Monday Ofor Bassey, Ayo Bassey Offor, Ibor Omini Arikpo. A young boy collects water from a waterpoint in the Odot Uyi community in Odukpani Local Government Area (LGA) in Cross-River State in Nigeria on July 21, 2011. 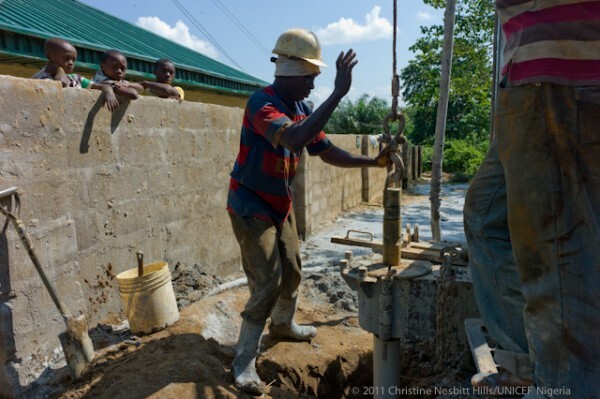 The construction of this waterpoint facility is supported by the EU and UNICEF. Scenes from a workshop with local entrepeneurs and the state rural water authority about establishing a supply chain of handpump spares for VLOM (Village-Led Operation and Maintenance) held in Ugep in Yakurr Local Government Area (LGA) in Cross-River State in Nigeria on July 20, 2011. 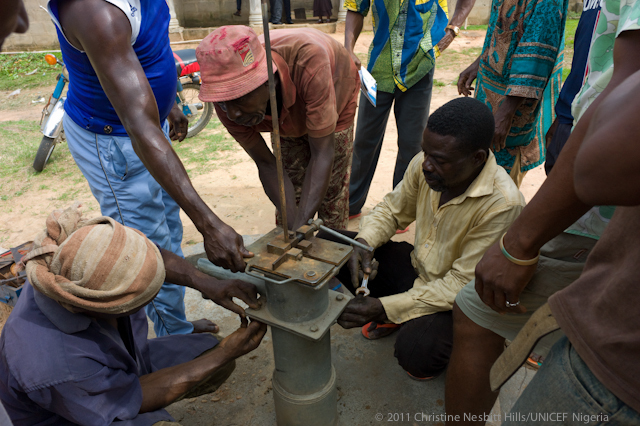 An area mechanic and community artisans repair a handpump in Afroekpe Ekori community in Yakurr Local Government Area (LGA) in Cross-Rover State in Nigeria on July 22, 2011. 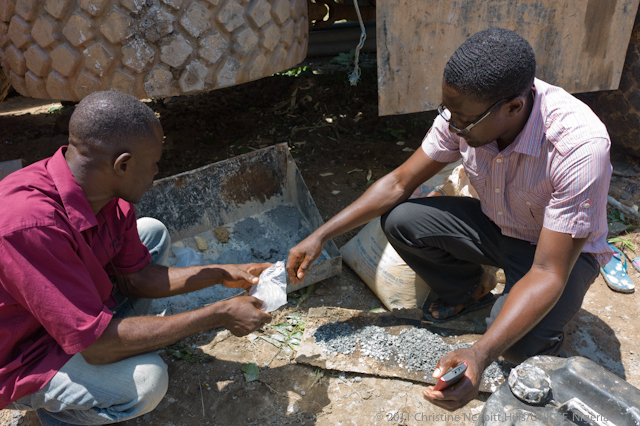 The community has been trained as part of the VLOM programme. 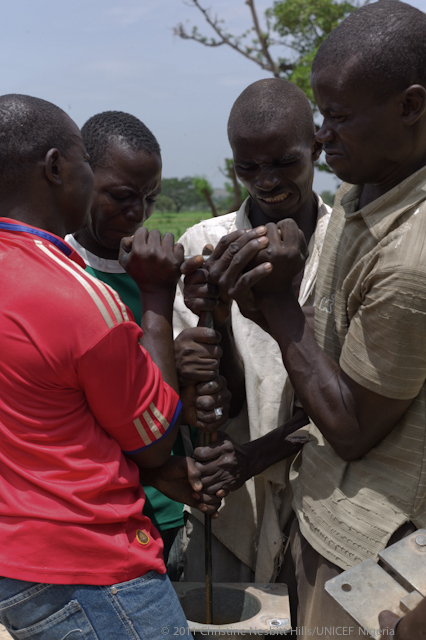 The area mechanic and community artisans repair a handpump in Maigwaram community in Birnin Kudu Local Government Area (LGA) in Jigawa State in Nigeria on July 28, 2011. The development of water, sanitation and hygiene practices in this LGA are supported by the EU and UNICEF. 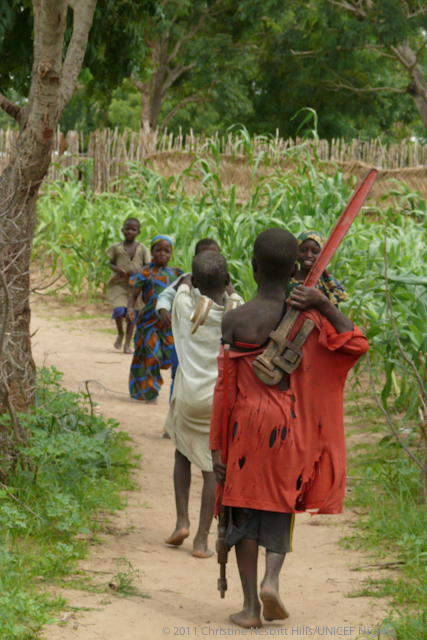 Young boys help to carry the area mechanic’s tools after repairing a handpump in Gidandarge community in Birnin Kudu Local Government Area (LGA) on July 25, 2011. 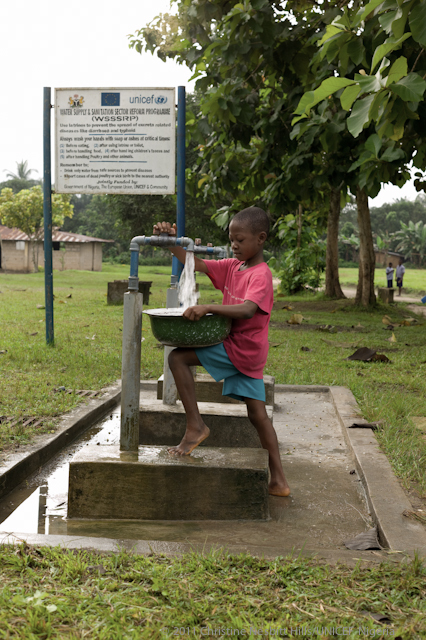 The development of water, sanitation and hygiene practices in this LGA are supported by the EU and UNICEF.